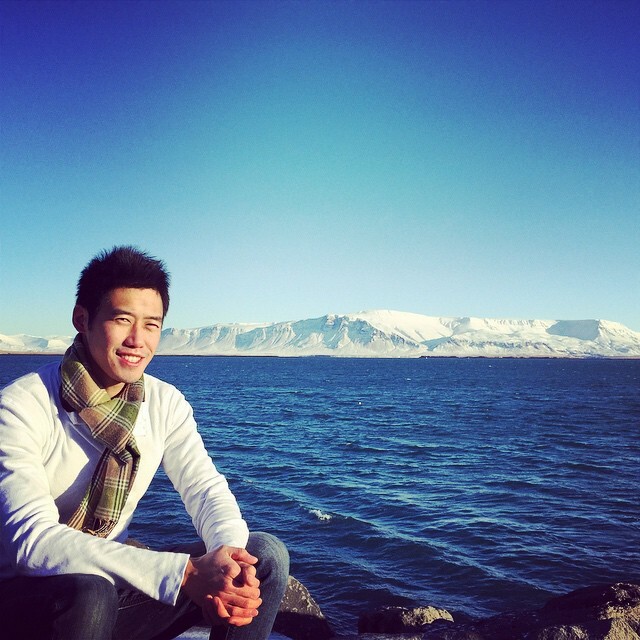 taigeair - product manager explores technology, travel, and life. 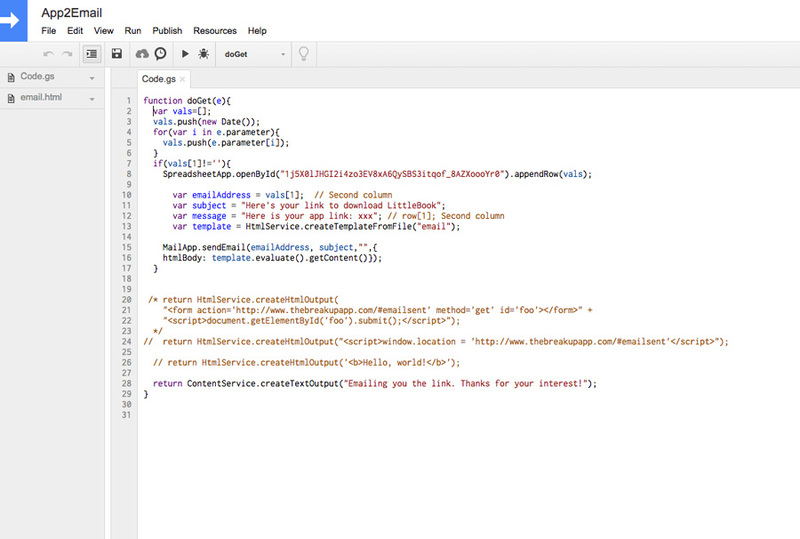 Use Google Apps Script + Gmail as a free email service to send your app link. For iOS, it's still hard to install an app you found while browsing on your desktop computer. There are services that text you the app link, but everyone has email on their smartphones, so why not just email them the link? It's easier and free. I couldn't find a free service for this, so I built something using Google Apps Script as "Get The App Link" email service for my app. The todo app with slick freestyle typing, statistics, and encouragement. Victories is available for download here. Why did I create Victories? I've been looking for the perfect todo app for a while but never found one. Like pasta sauce, there isn't a perfect one, but rather clusters of great ones for different taste preferences. What I noticed was... no todo app had a user interface where I didn't have to type into a stupid little box everytime I wanted to add something. There also wasn't one that made it fun and encouraged me. Let's be honest, being an adult can be pretty lame. Look at all my to-dos... pay the bills, buy groceries, find a roommate. It’s not fun. You don’t get rewarded for it. You don’t even hear a good job. You just check it off a list. Having worked in social gaming, I wanted to use the same game mechanics that got people addicted to doing meaningless things (e.g. harvesting crops) for good. I hope with this app, I can help people be more diligent and achieve their goals in the real world. 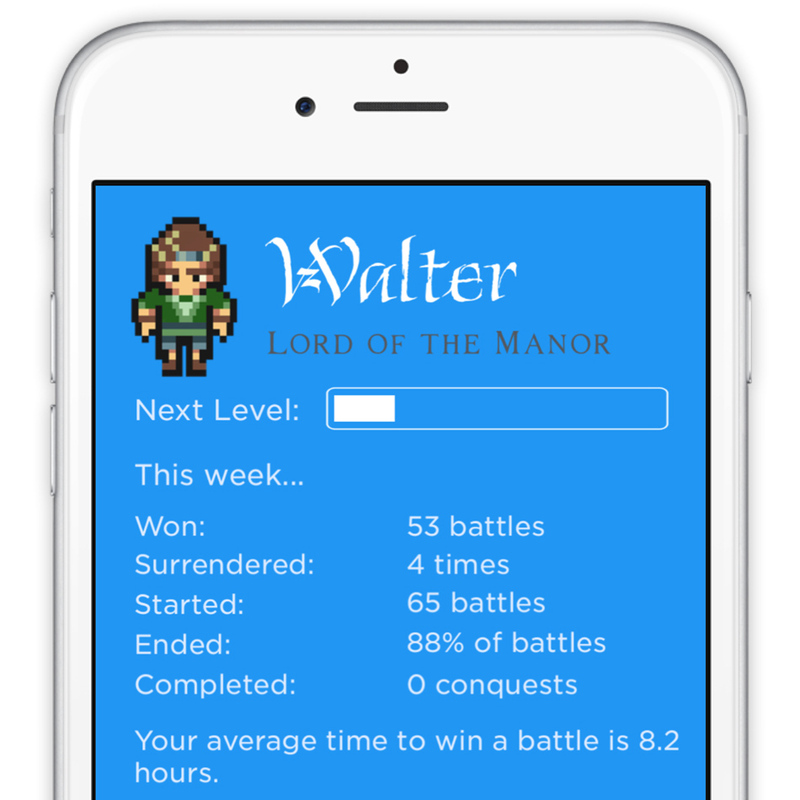 Victories is an iOS app that makes you feel good and be productive in real life. It’s not a game. It’s not a goal app. It’s a to-do app that adds more play into your life. All tasks are called battles. You don’t complete a task, you win or surrender the battle. And it says good job to you when you do. A group of related battles are called conquests. You can go from a serf to a king as you win more battles. It even gives you statistics. At the end of the week you can look back at your victories and feel good about yourself. 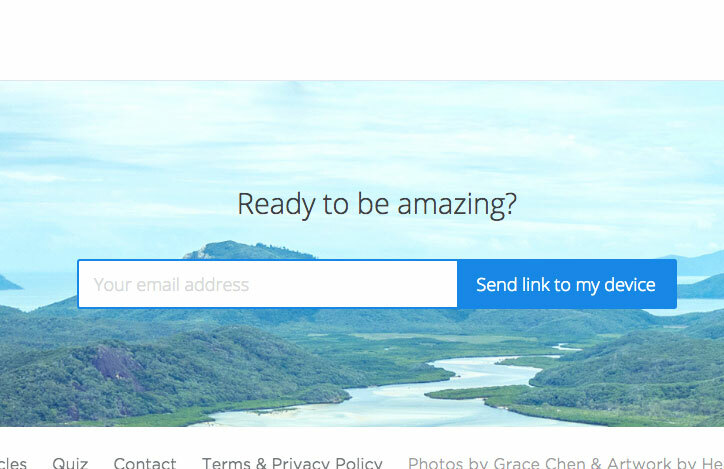 This app is designed to help you be more productive. Hopefully one day, as you’ve been leveling up in the game, you realize your goals have been accomplished and you’ve levelled up in life too. There are many more great features that need to be added to make you feel better about completing tasks such as bragging about it on Twitter, end of week summaries, fuzzy do or die reminders, real world prizes, and life balance bars. Life balance bars are diminishing health bars based on the 5 balls philosophy. You need to juggle 5 things in your life: work, family, health, friends and spirit. Your battles should reflect that. Win work battles to boost your work health. Win spirit battles to boost your spirit health. You get the picture. Victories will help you keep balanced in life. If you run out of battle ideas, you can even get suggestions from the app or friends. Real world prizes are rewards for keeping a streak going. Every week you get shown a reward such as a carnival cruise or a best-selling drone. If you complete at least one battle a day, you are entered to win. Advertisers would be happy to get their product in front of you for the cheap price of giving some away. Then there's the social part where you can make your battles discoverable by friends so they can join or help. Actually this part I've broken out into a separate app called LittleQuest which is in beta testing. People can play in a world where they can discover fun or meaningful things to do with exisiting friends. Members of a clan can provide high levels of support to one another. There's still a lot to do and I'm hoping it will become the fun app that will truly improve your personal and social life.